Removals Unlimited has the best team in the world! It’s no secret that treating someone well and being treated well makes you feel good. People spend too much time at their job to not enjoy it. Many companies are starting to evolve into a versatile work environment. With new generations entering the workforce, the pressure to follow suit is on the rise. Here at Removals Unlimited in Bournemouth we have a very low turnover of employees. Most of our staff have been with us since day one. This shows that we must be doing something right with the team. We aim to please and consider our team as a very powerful extension of our business. We will always run incentives to reward hard work and excellent customer service, so our professional movers are constantly motivated to excel. The way we care for our staff increases their productivity and loyalty – if our Removalists are happy then our customers enjoy our services and truly appreciate how far we go to please them. Our team of professional movers create stronger customer relationships – we have a high percentage of returning customers…not only twice but three or four times too! Because our team have a real passion for what they do and enjoy working for Removals Unlimited the working environment is naturally less stressful and therefore is bound to improve our health to reduce sick days to ZILCH. Time and time again, our team of professional movers have proved that they are committed to get the job done the right way even if it’s the hard way at times. They will never settle for anything else. They naturally approach life with optimism, energy and grit. 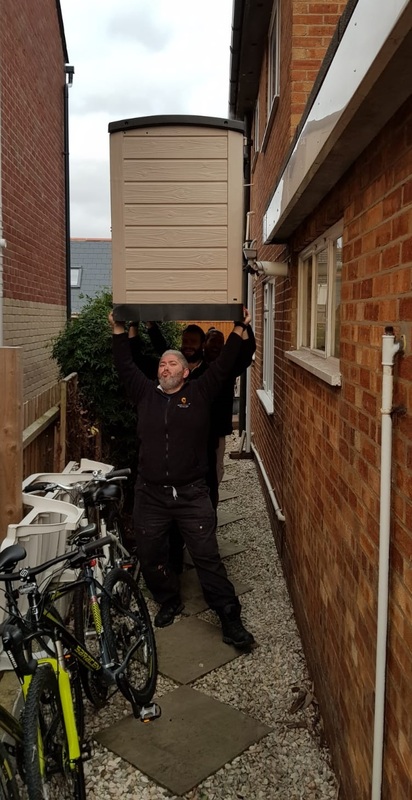 Our Bournemouth Removalists will always pay attention to details, whether through a house move in Christchurch or a flat move in Poole or an office move in Bournemouth town centre…they pay attention to details and always find solutions to better serve our customers. Removals Unlimited and its team do not represent your traditional moving company. We are raising our industry’s standards, becoming more efficient than ever and changing the way our business model operates. If you believe you have what it takes to drive our business forward and care for our customers, then we want to speak with you. See our careers page here. If you are in the process of moving and you would like to discuss your move then please contact us. We would love to help! Well done to my eldest daughter, Mia!